Wedding preparation is both exciting and full of challenges. You have time-sensitive decisions and investments to make, from choosing the perfect location to agreeing on which vendors to set as your wedding day team. These professionals will be part of many special memories of your wedding day. One of your most important vendor choices is who will capture the events of your wedding. A friend or relative may own a DSLR camera, but you should hire a professional photographer to ensure the day is properly documented.This simple guide will help you decide how to hire the perfect wedding photographer. As a professional wedding photographer, I have been interviewed by and have consulted with countless couples preparing for their big day. I have also interviewed dozens of photographers, both from my own wedding and as a portrait studio manager, and believe I’ve narrowed down the most important factors for great wedding photographers. To help ensure that you’ll find a great fit when you pick your photographer, here are the six areas of consideration for you to rate and then compare. An artist’s body of work is your window into their styles, skills, and stories. While looking at the images, you can evaluate each photograph using the same twelve elements the Photographic Exhibitions Committee (PEC) of PPA uses as their “gold standard1.” These twelve elements are Impact, Technical Excellence, Creativity, Style, Composition, Presentation, Color Balance, Center of Interest, Lighting, Subject Matter, Technique and Story Telling. 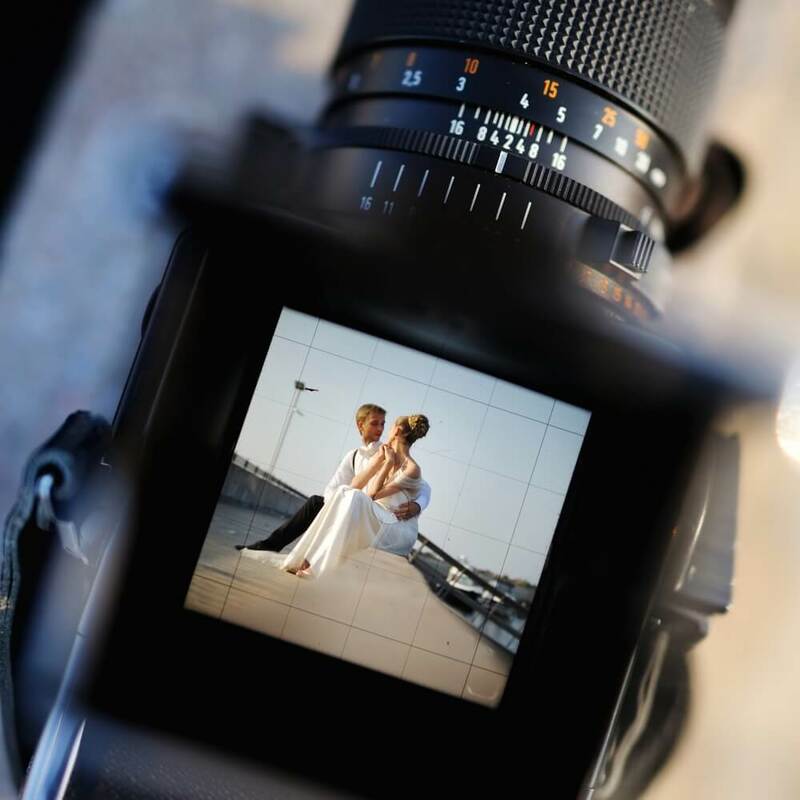 Every photograph can be measured or graded on all twelve elements, but you may want to simplify by picking the most important elements to you and your partner. Score each photograph, and keep track of your highest rated works. As you research local wedding photographers, this is also a good time to learn what photography styles your future spouse prefers. This process will help you determine what kind of wedding photographer you’ll want. Base your requirements on what you and your partner value most, from the artistic style to the image content and quality. It’s always important to let photographers know exactly what you are hoping for, but first, ask your candidate photographers (or judge for yourself) what style they typically work in. 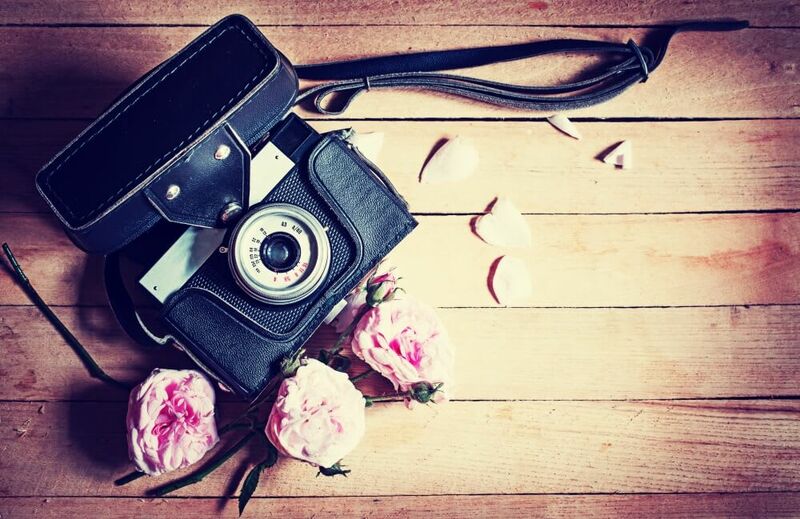 To understand their answer, here’s a list of photography styles2 for you and your partner to read and decide which appeals the most. Traditional: In this ‘classic-style’ the photographer works from a “shot list,” ensuring he or she covers all the standard elements that are typically requested. Photojournalistic: These are candid or spontaneous pictures of people and decor and you’ll rarely see people posing for the camera. These types of pictures capture the genuine moments and should tell a story. Photographers who shoot well in this style may often have skills of blending into the crowd, but always being where the action is. Portraiture: These are posed shots of the two of you, your friends, and your family. Sometimes photographers will treat your wedding reception as if it is a group photo session. Be aware that certain photographers may by default begin put you and your partner in all the traditional places and formal poses. Fine Art: When a photographer tells you that they are a Fine Artist, that can mean many things. Sometimes this means that they like to control the scenes as much as possible to create an image that personally inspires them, and this can lead to mixed feelings from the guests who may be used as props to fulfill an artistic vision. Photos may turn out dramatic and gorgeous, although it could mean they are grainier, dreamier, or more muted. If you value creative photography that uses dramatic or edgy compositions to showcase your personalities, make sure to find an artist that proudly shows off the kind of work you like. When dealing with artists, it’s important to take them as they are and not try to fit them into a mold. Illustrative: This style is often used for engagement photos and is a blend of traditional and photojournalistic, with an emphasis on composition, lighting, and background. The photographer finds interesting environments and encourages the couple to relax and interact. The benefit of the illustrative motif is that it seems to have the spontaneity of candids, while it actually offers the technical control of portraiture. Natural Light: Rather than using flashes, photographers utilize the natural light found in a setting, usually daylight. The feel of natural light is warm and muted. For this style to work, you must have a technically skilled photographer who knows how to deal with lighting challenges. After you’ve narrowed down your top choices based on searching portfolios and viewing images with a critical eye, it’s time to get in contact with the artists and arrange personal interviews. When you are with the potential photographer, you can ask to view multiple wedding albums. Also, ask to see some reception shots, since they may not be included in the portfolios. If you’re still uncertain of which photographer to move forward with, consider how the photos make you feel, and whether the images capture people’s genuine emotions. Make sure the subjects look relaxed and natural, not like deer caught in headlights. When you speak about your venue, your preferred wedding style, and what you two envision for your photos, did the candidate seem excited by your vision? Do they make suggestions, and how do you feel about those recommendations Lastly, do you feel like you are being sold or do they provide genuine responses? How would you rate each professional you meet in terms of expertise? Remember, you’ll want to make sure your photographer is easy to be around while still being bold enough to go out and capture lasting images. The photographer(s) will be shadowing your every move, and the more comfortable both of you are together, the better the photos will be. You don’t want the photographer to annoy or block any guests’ views but instead work in an unobtrusive, professional manner. I believe the photographer should abide by your wedding’s dress code. To get ideal results, your photographer needs to blend in yet be active enough to find many subtle special moments, catching relaxed smiles from naturally positioned guests. A professional has all of the bases covered, including specific stipulations in the contract about who will cover for the photographer should something happen on your wedding day. Professional photographers often are connected to many other wedding professionals and may make recommendations. That is not a bad thing if they work in a similar style. Wedding photographers should be able to accommodate you wanting them to bring assistants or second shooters. The main benefit of having multiple photographers is that you double or triple the coverage. 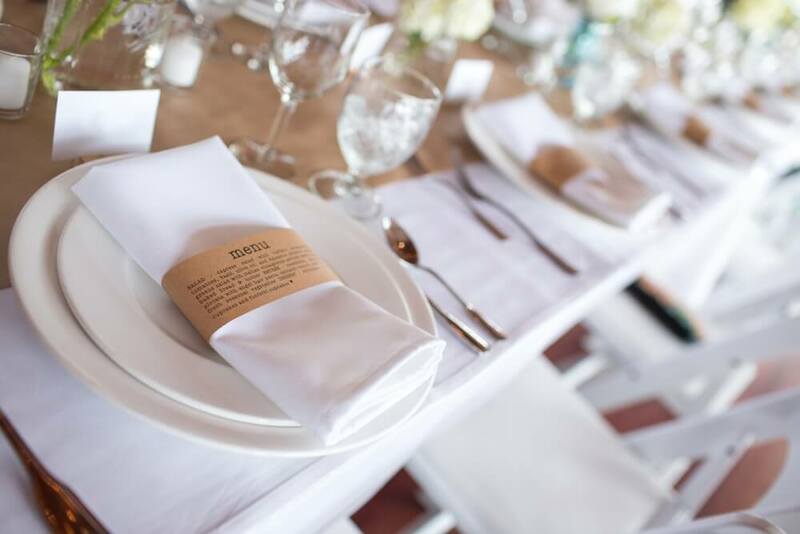 As a rule of thumb, you’ll want at least one photographer for every hundred guests. Each photographer should take an average fifty to a hundred shots per hour. Some professional wedding photographers belong to associations and are certified by organizations such as Professional Photographers of America3, American Photography Association,4 or Wedding & Portrait Photographers International5. Membership signifies a certain level of professional dedication while Certification represents a declaration of a photographer’s professional competence. One standard that I believe distinguishes great photographers is their ability to prepare with the future couple. That could mean setting a date in advance of the wedding to visit the site to discuss what backgrounds or angles you are hoping for. It’s important you prepare a list of the people and moments you want to be captured, and if you intend to have group photos. Then create an easy to reference breakdown of each shot or group that you want to have included. Another important list to create is one of all the people who you’ll want to give photographs and albums to as gifts. Part of this planning will involve discussing when to show up, how they should dress and what you are expecting of them. Do they provide you with any material which helps you better understand what you can expect? Do they provide you with tools to help you plan? No matter your financial situation and goal budget, there is no way for you to know a dollar amount until you’re sure of exactly what you want. Part of knowing what you want means evaluating and listing out how many photos, albums, and extras you want for yourselves and others. I’ve known people who have asked their amateur photographer friends to take their photos for free, or hired college students to shoot their weddings for only hundreds of dollars. Decisions like this will often end with regret. I believe you’ll get what you paid for! In professional photography, services and packages 6 are broken down into four basic categories: budget, moderate, upscale and luxury. Budget photographers run from under $1,000; moderate photographers average between $1,000 and $3,000; and upscale photographers between $3,000 and $5,000. Luxury weddings photographers average between $5,000 and upwards of $10,000 on the higher end of the spectrum. When interviewing wedding photography candidates, ask for a general range based on their standard hourly fee, then look at their packages and special offers. Ask about their standard rates for the type of album you think you’ll want. Find out and compare what’s included in packages, as well as the cost range for the extras you may want, such as an engagement shoot, special effects. You may want your photographer to be there for your full wedding day. There are many special moments that tell your whole story. From when you both start getting ready until after you’ve made your grand exit. It’s generally recommended to invest in more coverage if there’s a chance you’ll run over. You definitely want your photographer there until the end! In most cases, if you desire is to print the images for yourselves, which often includes ordering an album online, you’ll have to buy the copyrights to the images. Some contracts stipulate that the photographer owns the rights to all photos taken at the wedding, including pictures of you. 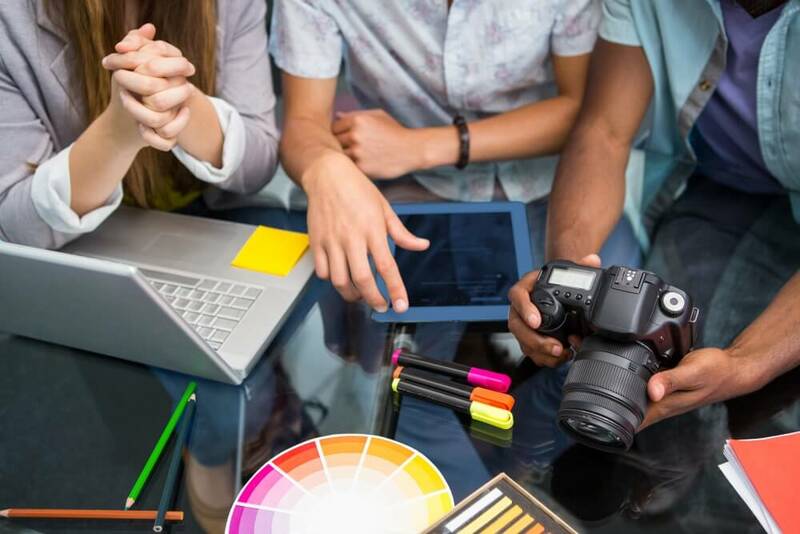 The photographer may want to use your photos for promotions, such as posting them on their website, blog, Facebook page, in publications or even advertisements. In some cases, you won’t even be allowed to post the proofs. Photographers policies vary, some state that you can only share watermarked images to ensure the credit goes to them. The bottom line is, make sure to read the fine print. I placed post-production as the last of the parameters, not because it is least important, but because this includes the final steps and personal touches which separate amateurs from professionals. It usually takes about a month to get proofs back from your photographer. The reason is that a local professional wedding photographer wants to deliver a quality final product. It takes a good amount of time to individually open and check each of the hundreds of photos taken. It takes even longer to edit and correct color the levels. A great question to ask on this subject is simply, “What do you typically do to the pictures before we see them?“ Then a great follow up question would be about custom touch-ups and other special requests, and whether or not they charge additional fees for that service. Some photographers offer to create beautiful albums and slideshows, even custom painted portraits or other special features, while others simply hand or mail you a DVD of your images. No matter what option you decide to go with, remember to take the time to write an online review to let others know what to expect, especially if you are happy with the final images. Ready to start comparing? Check our our lists of top wedding photographers! 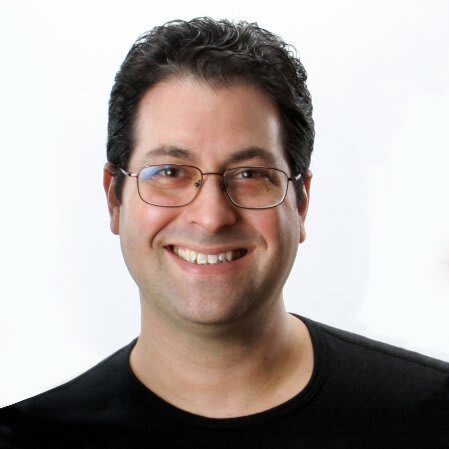 Alan M Schwartz is a contributing author for Expertise.com. He has 20 years experience as a Studio and Wedding Photographer, 10 years experience as an Fine Art Instructor for students of all ages and levels, and he has been creating original fine art paintings and photography for 25 years. Alan attended California Institute of the Arts (CalArts) majoring in Fine Arts and Photography.